The latest Action Figures released from Funko feature some characters from The Disney Afternoon Collection! These fully articulated figures stand roughly 3 ¾ inches tall and some are featured with accessories! This series includes the terror that flaps in the night, Darkwing Duck! The richest duck in the world, Scrooge McDuck and the fun-loving Baloo. Rounding out the series is the pair of mischievous chipmunks, Chip and Dale. From Darkwing Duck, Darkwing Duck himself complete with his gas gun stands approximately 3 ¾ inches tall and features five points of articulation. Recommended Minimum Age: 8 years - not suitable for children under 3 years. Funko Pop Disney: Darkwing Duck - Gosalyn Mallard Vinyl Figure All items shipped in oversized boxes and packaged by a collector. Check out my other listings for more great Disney and Funko items. Condition is New. Shipped FREE with USPS First Class Package. Trending at C $14.63eBay determines this price through a machine-learned model of the product's sale prices within the last 90 days. Relive the glory of youth and afternoons spent watching your favorite Disney cartoons. Better still, reenact moments from your favorite shows with these Disney Afternoon action figures. Gizmoduck needs your assistance stopping crime. Gadget’s more than capable of flying the Rescue Rangers in and out of danger, and keeping their plane in tiptop shape between adventures. King Louie’s probably taking it easy at Louie’s Place, if you happen to need him for some amiable conversation. And Darkwing Ducks’ pilot Launchpad McQuack is an eager and able sidekick. Launchpad stands approximately 4 inches tall and is packaged on a blister card. Recommended Minimum Age: 8 years - small parts not for children under 36 months. Many DVD players can be made multi region compatible quite easily. To check if a DVD or Blu ray with a region code other than your own will play on your player, try checking the following link and put your make and model of player in the search box. The latest Action Figures released from Funko feature some characters from The Disney Afternoon Collection! This series includes the terror that flaps in the night, Darkwing Duck! The richest duck in the world, Scrooge McDuck and the fun-loving Baloo. Rounding out the series is the pair of mischievous chipmunks, Chip and Dale. This chase limited edition vinyl figure of Darkwing Duck stands approximately 3 ¾ inches tall and features five points of articulation. He even comes with a gun. Chase variant - negatron. Recommended Minimum Age: 8 years - not suitable for children under 3 years. Funko Pop! Disney Launchpad McQuack #297. New and unopened. Ships next business day. Our experienced staff will ensure quick order processing & the highest level of service available. 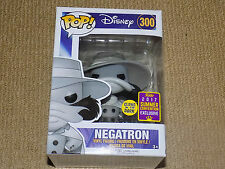 Darkwing Duck - Negatron Glow Pop! Vinyl - FunKo Free Shipping! Darkwing Duck - Negatron Glow Pop! At The Nile, if you're looking for it, we've got it. It also glows in the dark! enthusiast, either to display loose or to have for your complete boxed Funko collection! This added service is reflected in the bottom line on our item costs. The terror that flaps in the night, Darkwing Duck! He is now joining the Funko family! Alongside his sidekick Launchpad McQuack and daughter Gosalyn Mallard are receiving the Pop! vinyl treatment. This Pop! vinyl Launchpad McQuack measures approximately 3 ¾ inches tall and is packaged in a window display box. Bring home all three Disney Pop! vinyl figures today! Recommended Minimum Age: 3 years - small parts not for children under 3 years. FUNKO MYSTERY MINIS Disney Afternoon Series Darkwing Duck Gosayln Mallard It's about to be a Disney Afternoon all the time! From DuckTales, TaleSpin, Darkwing Duck, and Chip ‘n Dale Rescue Rangers, comes mini-figures of classic characters like Huey, Dewey, and Louie, Scrooge McDuck, Baloo, and more. Each stylized vinyl figure measures 2 1/2-inches tall and comes packaged in blind boxes. Collect them all! Ages 3 and up. All Mystery Minis come with the original box they are new but the box has been opened to identify the figure. This cost is for Australian residents only. 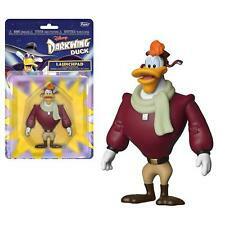 Darkwing Duck - Darkwing Duck Action Figure - FunKo Free Shipping! May include chase variant, average ratio 1 in 6 units as advised by the manufacturer. We've got this. SKU FUN20397. 3.75" tall. Made by Funko and Disney. This cost is for Australian residents only. From Darkwing Duck, Gosalyn Mallard, as a stylized pop vinyl from Funko! collect them all! Item model number: 13608. We bring you fun-loving collectibles and toys made to brighten up your life. From Darkwing Duck, Launchpad McQuack, as a stylized pop vinyl from Funko! collect them all! Item model number: 13261. We bring you fun-loving collectibles and toys made to brighten up your life. Collect and display all dark wing duck pop! From dark wing duck, dark wing duck, as a stylized pop vinyl from Funko! collect them all! These were manufactured to be used in the USA. Use outside of the USA at your own risk. Featuring Gosalyn Mallard from the animated series Darkwing Duck. Featuring Negaduck from the animated series Darkwing Duck. Trending at C $24.15eBay determines this price through a machine-learned model of the product's sale prices within the last 90 days. Negaverse Darkwing Duck is getting the Funko POP! This Darkwing Duck Negaduck Pop! Funko POP! FREE Trial ! 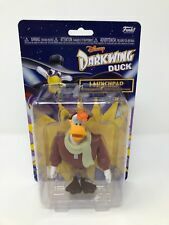 Featuring Launchpad McQuack from the animated series Darkwing Duck. This way we know that you have received your item. Trending at C $18.64eBay determines this price through a machine-learned model of the product's sale prices within the last 90 days. DARKWING DUCK. Funko The Disney Afternoon Collection of Mystery Minis! Disney Afternoon Series. Age: 3 Years. From dark wing duck, dark wing duck, as a stylized pop vinyl from Funko! collect them all! Collect and display all dark wing duck pop!